Why Use American-Made Steel Racks to Display K-Cups? Many of the food processing baskets that Marlin Steel manufactures are intended for use with the client’s food processing equipment. However, not every custom stainless steel basket Marlin Steel makes is used for high-precision manufacturing. 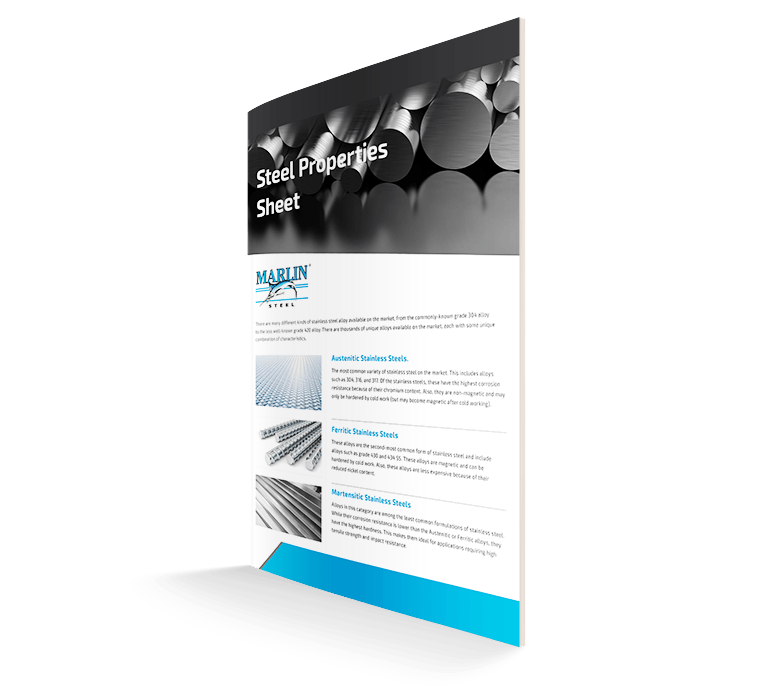 Some manufacturers need custom wire forms that can help highlight the quality of their products on storefront shelves. As a matter of fact, when Marlin’s current CEO and owner, Drew Greenblatt, first bought the company, that was exactly what Marlin specialized in. At the time, Marlin was known as the “king of the bagel baskets” and specialized in making cheap commodity steel baskets for displaying bagels by hand. Now, however, Marlin Steel specializes in making high-precision custom stainless steel baskets meant for rigorous and demanding manufacturing applications. Yet, when a coffee manufacturer needed a display rack to hold their custom K-cups on store shelves, they approached Marlin Steel to make stainless steel racks for their products. Why would a coffee maker want to use a precision-engineered custom steel for a display rack? What are the benefits of using American-made precision-engineered racks to display products in stores? To Highlight the Quality of the Products It Holds. There’s a lot that goes into making a good impression with customers in a storefront. One of the things that can indirectly influence a customer’s opinion of the product is the quality of the shelving the product is on. Even the best-quality products can appear somewhat less appealing if the shelving used to display them is uneven, rusted, or ugly. Clean, attractive shelving helps to reinforce the quality of the products they hold in the minds of customers. To Make Shelves Last Longer. Uncoated plain steel can, if left out in the open, quickly succumb to rusting. This shortens the useful life of the racks and makes them less attractive (not to mention potentially contaminating the surface of a product container). Using stainless steel or applying a coating to the steel helps to prolong the useful life of the racks so they don’t have to be replaced nearly as often—reducing the total cost of ownership (TCO) for the racks despite the increased upfront cost. For example, if a plain steel rack would cost $100 and last one year, but a stainless steel or coated wire rack were $300 and lasted a decade, the TCO for the stainless steel/coated wire rack would be less than a third the TCO for the plain steel basket ($300 vs $1,000). To Get Shelving Delivered On Time. When you’re launching a new product, having to delay that launch because you don’t have the appropriate shelving to display it is more than just an inconvenience—it’s a blow to your finances. Every day that launch is delayed is a day that the product isn’t producing financial value to your company. Unfortunately, custom metal forms manufactured overseas often have long delays for customs processing red tape (on both ends), waiting for available space on an outgoing cargo vessel, and the weeks- or months-long journey on the cargo vessel itself. This makes it difficult (or impossible) to guarantee that the shelving will arrive on schedule to support the product launch properly. American-made wire racks, on the other hand, can skip the red tape and shipping delays when shipping to an American company—making it much easier to meet a tight deadline to support an upcoming product launch. To Ensure Compatibility with Your Product Containers. If the products you’re displaying use containers of an unusual size or shape, odds are that they’ll fit better in a custom display rack that was specifically made for them. However, to make that fit consistent, the racks need to be able to meet incredibly tight parts tolerances. 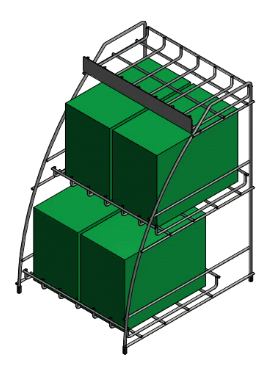 Precision-engineered baskets assembled using manufacturing automation are able to meet demanding tolerances much more easily and consistently than handmade baskets put together by underpaid manual laborers. Having compatible custom racks helps to further improve the appeal of your products in the store. Need a custom display rack to further enhance the appeal of your products on the double? Contact Marlin Steel today to get a custom wire rack quote and find out what your best options are for your food processing baskets.